The most awaited holiday of the year is just around the corner and the excitement is skyrocketing. 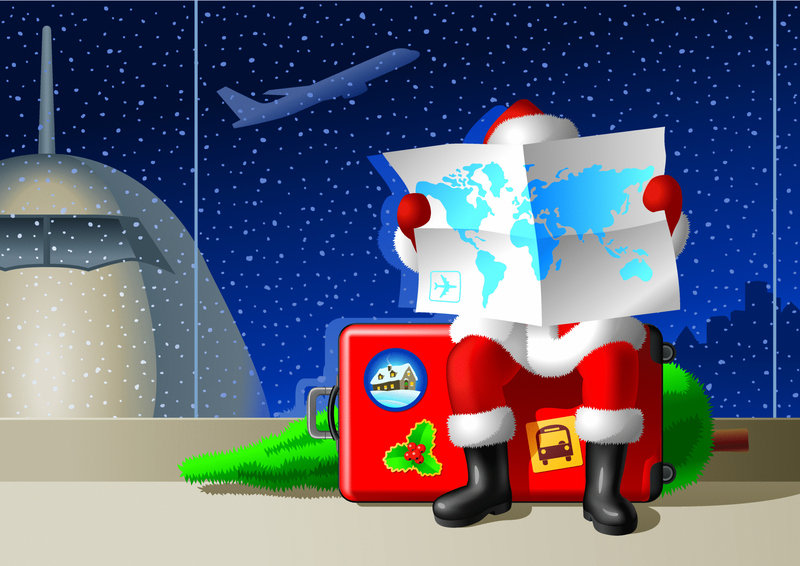 People are busy finalizing their travel plans and buying Christmas presents. Everyone is looking forward to having a quality time with their friends and family. But not everyone’s holiday is going to be as perfect as they hoped and planned for. There will be cancelled trips, delayed flights, weather issues and planning kinks. Not all of the situational hiccups can be brought under control in the nick of time. But when it is mass travelling season even the trivial adjustments and rearrangements become hectic. Weather issues, missed or cancelled flights. Late airport arrival due to weather or parking issues. Lack of other flight options. All the preparations go to waste. Waiting of your flight restlessly. Desperate attempts to get on another flight. Having to wait for alternate flight at the terminal. Tired before the vacation even started. Difficulty in reaching the airport & missing your flight. Bumpy ride or hanging in the air awaiting proper visibility. Off the route emergency landing. Getting stuck at connecting flight destination. All possible accommodation already booked. Celebrating Christmas at the airport with strangers. To overcome these travel plagues get valuable suggestions at: What does your Travel Planning Lacks? Previous Post15% Meet and Greet Airport Car Parking DiscountsNext PostWhat does your Travel Planning Lacks?